26th November 1810, 9 Pleasant Row, (Falconer Street), Shieldfield, Newcastle-upon-Tyne, England. William Armstrong’s father, also William, was the owner of a corn merchant business on the Newcastle Quayside. He originally came from Wreay near Carlisle in Cumbria. William senior was particularly interested in mathematics and natural history and was a member of the Literary and Philosophical Society in Newcastle. His mother was called Anne. Armstrong went to the Royal Grammar School in Newcastle and then a grammar school in Bishop Auckland, County Durham. He became articled to a solicitor at the insistence of his father but became an engineer instead. 1826: William Armstrong went away to grammar school in Bishop Aukland, County Durham at the relatively old age of sixteen. As a young boy he had made toy models but he became inspired by William Ramshaw’s engineering works in the town. He also fell in love with Ramshaw’s daughter Margaret who was later to become his wife. His father wanted him to become a lawyer and after school he trained at family friend Armorer Donkin’s practice as a solicitor. His sister Anne married William Henry Watson a London lawyer who helped train him in the law. 1828: Anne died two months after the birth of her son at the age of twenty six. 1835: After further training in London he became a partner at Donkin’s law firm but continued his interest in engineering in his free time. Besides engineering he was a keen fisherman and often fished in the River Coquet near Rothbury which kindled his love for the area. On a trip to the River Dee in North Yorkshire he had the idea of using water power to drive machinery. After his marriage to Margaret he set up house in Jesmond Dene. 1838: His rotary engine powered by water was built at the High Bridge works owned by his friend Henry Watson. 1840: Armstrong produced a much-improved hydraulic engine using pistons instead of a rotating column. 1842: Armstrong invented an apparatus for producing electricity from steam. 1845: Armstrong pioneered the taking of waters from the Whittle Burn a tributary of the Tyne near Ovingham which could supply water to the growing city. The Whittle Dene water company he led with other businesses in Newcastle was later to grow into the Newcastle and Gateshead Water Company which owned six reservoirs. Armstrong also suggested a new engine from the water in the pipes at the lower end of town and from this he developed a hydraulic crane which operated from the Quayside in Newcastle to load and unload cargo. Local councillors agreed to the scheme as it was largely to be paid for out of Armstrong and Donkin’s pockets. It proved so successful however that three more hydraulic cranes were erected on the quayside and prompted Armstrong to consider a new business building these cranes commercially. 1847: Armstrong founded the Elswick Engine works at Newcastle-upon-Tyne with the financial backing of Donkin, George Cruddas, Richard Lambert and Addison Potter. The W.G. Armstrong and Company factory at first built cranes but then later bridges and engines. Jesse Hartley, the man in charge of cranes at Liverpool docks was sceptical of the invention but after a demonstration by “Hydraulic Jack” Thoburn he became convinced and he placed an order and soon Armstrong’s fame spread. 1850: William’s father became Mayor of Newcastle on Tyne having served as a Councillor for several years. 1851: Armorer Donkin died leaving a substantial amount of money to Armstrong as he had always promised. 1854: Armstrong read about the difficulties of maneuvering heavy field guns during the Crimean War and set about to build a lighter version. The prototype was a five pounder which eventually culminated in the “Armstrong” 12 pounder breach loading gun which was made up of separate coils of wrought iron. 1859: Armstrong had given the patents of his guns to the British Government and he was knighted by Queen Victoria for his devotion to national duty. He was also appointed to the post of Engineer of Rifled Ordnance to the War Department. and later became the Superintendent at the Woolwich arsenal. He was philanthropic during most of his life and gave £600 towards building a new school for the deaf. 1860: Andrew Noble, an ex artillery captain in the Army and gun expert, joined the W.G. Armstrong Company but the contract with the British Government didn’t last long as Joseph Whitworth of Manchester led a campaign to discredit the Armstrong gun and return to muzzle loading weapons. 1862: The British Government ceased ordering the Armstrong gun as they claimed it was difficult to maintain. Armstrong resigned from his Government posts and he received compensation for his loss of business. Undaunted Armstrong now turned toward manufacturing naval guns. He had enlarged the house and gardens at Jesmond Dene (known as Jesmond Dean) for many years and used it to entertain potential customers. He commissioned a Banqueting Hall to be built in this year. 1863: By now 3,800 people were employed at the Elswick Works. He buys his first plot of land near Rothbury. 1864: The Elswick Ordnance Company which had built the field guns and W.G. Armstrong and Company were merged to form Sir W.G. Armstrong and Company with Sir William as it’s first Chairman. 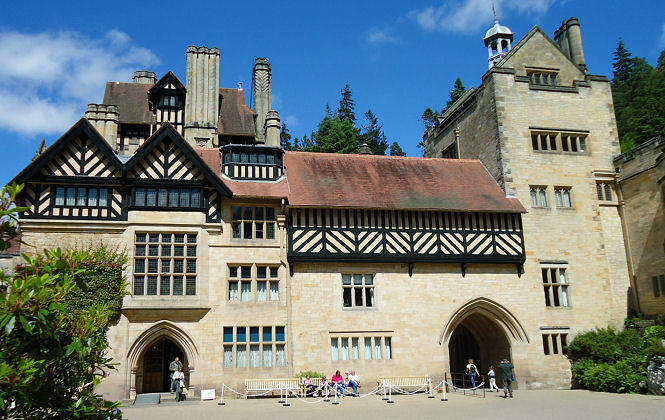 The building of Cragside at Rothbury commences and he started planting many tress and designing its lakes. 1866: Hamilton Rendel, one of Georg’s brothers, joined the company in the engineering department. 1867: Armstrong struck a deal with Charles Mitchell of the Low Walker shipyard in the east end of Newcastle that he should supply guns for Mitchell’s ships. 1868: The first ship launched under this project was called “Staunch” and it was bought by the British Admiralty. 1869: Armstrong commissioned the architect Richard Norman Shaw to transform and enlarge the house at Cragside. The various extensions took fifteen years to complete. Cragside was the first to be illuminated by electric light after Armstrong used river water to power generators in the grounds which lit up bulbs made by that other great inventor Joseph Swan. 1871: He donated money towards the establishment of Newcastle College of Physical Sciences which became known as Armstrong College in 1874 and a forerunner of Newcastle University. He fought against his workers pleas to reduce the working day to nine hours but was ultimately forced to concede. 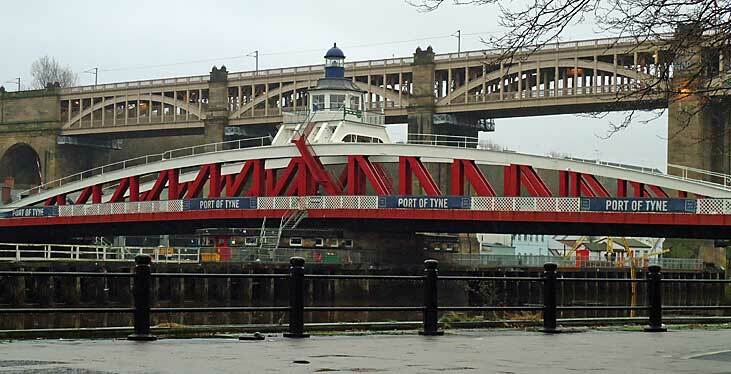 1876: On 17th July Armstrong opened his swing bridge across the Tyne for the first time. This replaced the old eighteenth century low bridge but still linked Newcastle with Gateshead and also allowed ships to pass through. The first major ship to pass through was the Europa which was steaming up to Elswick to collect a one hundred ton gun for the Italian Navy. 1878: Lord and Lady Armstrong gave £11,5000 towards the building of the Hancock Natural History Museum. He also gave a 26 acres of land at Jesmond Dene to the City Council to create a public park. Cragside is lit by electric lights for the first time. 1882: Mitchell and Armstrong’s companies were amalgamated to form Sir W.G. Armstrong, Mitchell and Co Ltd.
1884: A new shipyard was opened at Elswick to concentrate on warship production whilst the Low Walker yard concentrated on merchant shipping. Visit of the Prince and Princess of Wales to Newcastle and Cragside. 1885: The first warship launched from Elswick was the Austro-Hungarian torpedo cruiser “Panther”. Soon orders came in from many parts of the world including Britain. One of its best customers was Japan and cruisers built at Elswick helped Admiral Togo to defeat a Russian fleet at the Battle of Tsushimas in 1905. 1886: He stood for Parliament in Newcastle as a Liberal Unionist but lost. 1887: The Battleship H.M.S Victoria was launched at the yard. Armstrong also set up a gun making factory and shipyard at Pozzuoli on the shores of the Bay of Naples in Italy. On the occasion of Queen Victoria’s Jubilee Sir William was created First Baron Armstrong of Cragside. 1889: Visit of the Shah of Persia to Crasgside. Armstrong stood for election to Northumberland County Council and won his seat as a Liberal which he held till 1892. 1893: Death of Lady Armstrong. 1894: Armstrong buys Bamburgh Castle and sets about restoring it. 1895: The Elswick works was by now employing 11,000 people. and covered an expanse of 50 acres. 1896: Armstrong builds a series of almshouses at Rothbury in memory of his mother Ann. 1897: The firm amalgamated with Joseph Whitworth and Co of Manchester. The workers went on strike for a an eight hour day but were defeated after much hardship. 1900: By now the enlarged Cragside estate consisted of thirty one miles of carriage drives and walks. (1906): Opening of the Royal Victoria Infirmary which was part funded by Armstrong. (1927): Company merged again to become Vickers Armstrong Ltd.
1897: “Electrical Movement in Air and Water”. 27th December 1900, Cragside, Northumberland, England. All Saints Church, Rothbury, Northumberland next to his wife. The Armstrong Memorial Cross was erected in 1902 outside the church by local people. Cragside House, Near Rothbury (National Trust). The Literary and Philosophical Society.